We just love Halloween!!! Can you tell? Ha! Found these lovely plastic roaches at Dollar Tree and thought they would be great on lampshades and curtains. 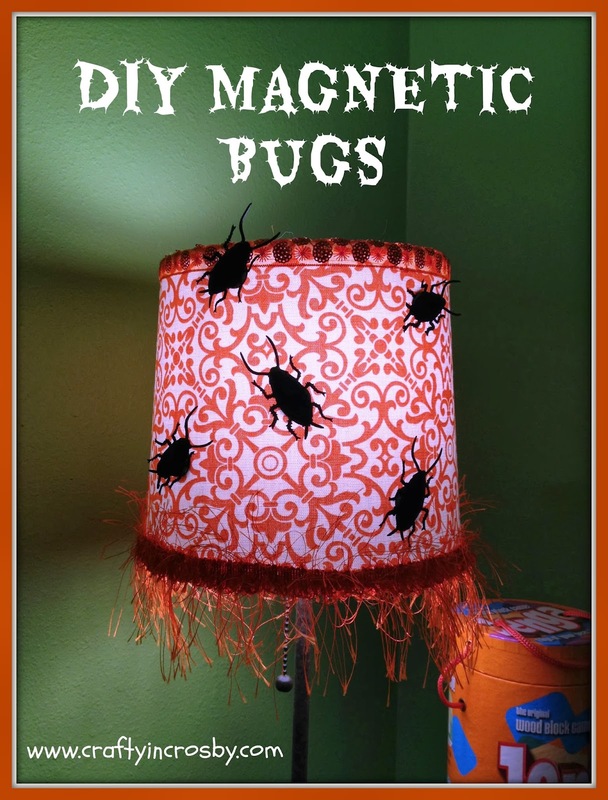 With the addition of magnets you can place them on any fabric or metal surface. whether to scream or laugh when I see them. and heavy duty magnetic buttons. Easy and Creepy! Just like me! Witchie, Witchie, Screamie, Screamie, Happy, Happy, Halloweenie! Phyllis, you must have a blast with your guests and all their little friends! Looks like you have some of the same bugs we do!!! Just love the Dollar Tree! Thanks for dropping by for a spell!! This is really creepy. What a great idea. Visiting you from the Rock and Share. Thank you Shawna! So glad you dropped by. Come back soon. Oh my gosh...super disgusting...but genius! Great idea! And Gross!!! I know, but they still make me giggle! Thanks for stopping in today! We are trying to be a little more spooky this year. 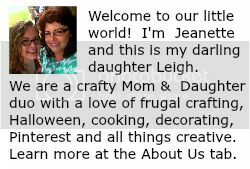 Leigh thinks Halloween should be spooky not cutesy! oh goshhhhh...of all the bugs you could have picked, you chose the ones that really freak the freak out of me!!!Roaches!! !LOL...I want to say I love it, but it terrifies me just to look at it...and I believe that was the point right? LOL...well done! Thanks for sharing at the Fluster Buster Party, Lizy your party co host. The only good thing I can say about these bugs is that they won't fly at you like the real ones do down here in Texas!!! I know, they are truly gross and disturbing and make you go "Ewww" !!! But they still make me smile......maybe because I know they aren't real. Thanks so much for stopping in. Thanks so much Theresa!!! Can't wait to see them featured!! 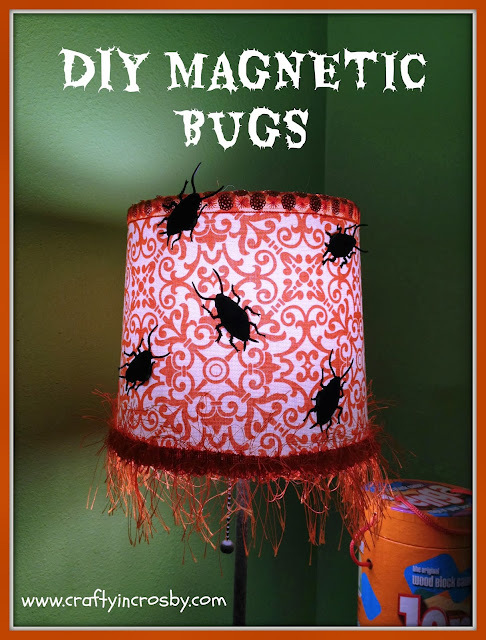 Bugs give me the willies, but these are awesome. Thanks for sharing at our Thursday Favorite Things hop. This is so great! I want to do this one night after the little ones go to bed and freak them out in the morning with it. You are EVIL!! And I bet they will love it!!! I might have to remember that the next time we have overnight guests. 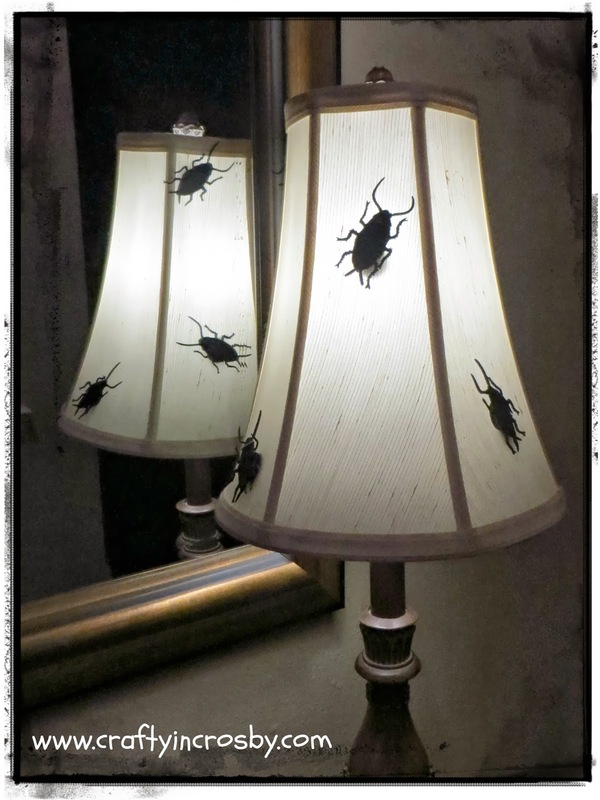 It would be so cool to sneak in to their rooms and put them on the lamp!!! (Insert Evil Witch Laugh Here!!!) LOL!!! Thank you so much for sharing this on our Four Seasons Blog Hop. I am pinning it now. Thanks for hosting the Hop!!! And thanks for the pin - we are Pinterest Addicts! Thanks everyone for not mentioning that I left off a Zero on the E6000 !!! Oh well, never claimed to be a professional blogger! I also pinned all the features into our Whimsy Wednesday Group Board - yeah!